Are Chelsea Set for Another Premier League Coronation? The flavour of the month is Chelsea, and Antonio Conte has changed the football community’s perception of the Blues as a football team. Gone are the days of parking buses to hold on for points in crunch matches, and Stamford Bridge is becoming a place to enjoy the beautiful game. The Italian has heralded a new era at the club with his distinctive style of play and a clear vision for what has now become a tight knit unit in West London. Obviously, the main difference in the Chelsea of this season and the shambles from 12 months ago is the fact that Conte has been able to bring the group of players together and assert himself as the top man in the changing room. Too often last season, headlines were dominated by internal conflicts at the club, from the rumoured fallout between Jose Mourinho and a cluster of the squad, to the ridiculousness surrounding Dr. Eva Carneiro’s public spat with the manager stemming from the opening day of their Premier League title defence against Swansea. They pass the ball more now, far removed from the bus-parking antics of Mourinho of yesteryear. For example, Eden Hazard’s goal against Everton had 23 passes preceding it, the longest sequence leading to a goal of any side in the division this season. 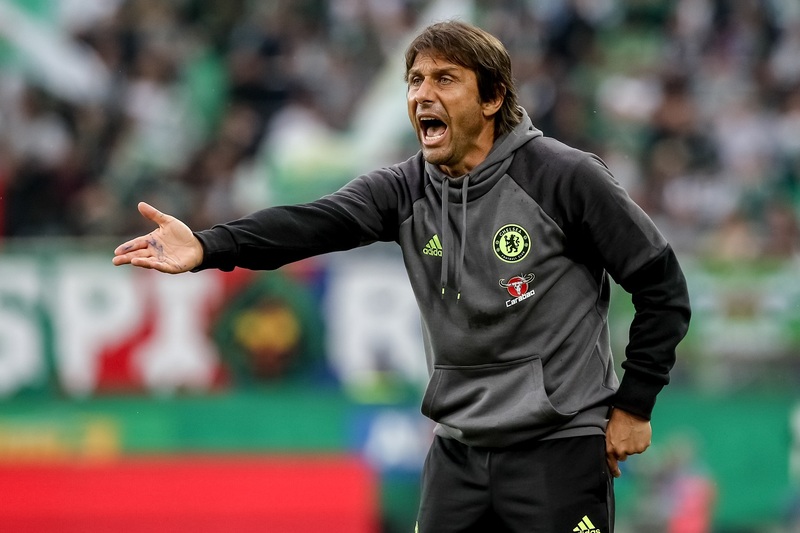 On the pitch, Conte has gradually overseen the growth of cohesion amongst a freshened line-up, before effortlessly transitioning to his signature 3-4-3 system, a formation employed by his Italy side at the European Championships in the summer. Cesar Azpilicueta has benefitted highly from this, with his lack of attacking prowess at full-back now masked by his repositioning to a centre back, as Victor Moses takes position at wing-back along with summer recruit Marcos Alonso. Also, David Luiz has been afforded more freedom as the central defender, with an extra teammate now around to cover him should he burst forward on one of his trademark runs. It certainly doesn’t hurt that Moses is looking to prove a point, having found himself on the fringes of the squad for years – now is the moment for the 25-year-old Nigerian to announce himself. Moving further upfield, the midfield duo of Nemanja Matic and Ngolo Kante have been the pivotal piece of the jigsaw, covering plenty of ground while providing the same defensive solidity they are renowned for. Matic in particular has hit the ground running in the new system, with a license to roam forward knowing that his partner will provide the running power to cover the space he leaves vacant. This is highlighted by the Serbian’s 5 assists this season, only inferior to the 6 racked up by former Blues playmaker Kevin de Bruyne now at Manchester City. 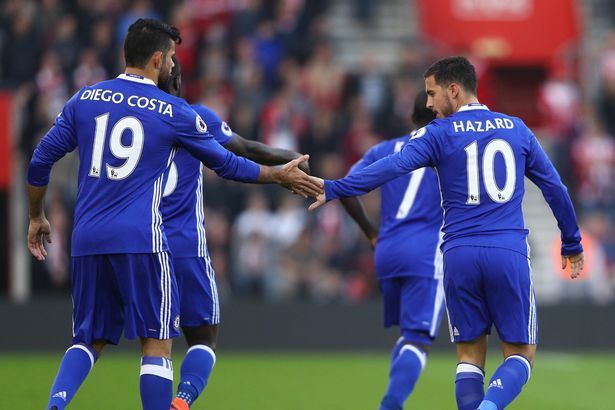 When Chelsea aren’t dominating the ball and keeping opponents at bay with a five-man hunting pack, they have the luxury of a high-class attacking trio to provide the potency at the end of each and every venture forward. Star striker Diego Costa’s bucketloads of energy are utilised to good effect, as his movement off the ball is favourable for the precise passing abilities of Pedro and Hazard to find him in tight spaces. Speaking of Hazard, the 2015 PFA Player of the Year is back to his brilliant best, currently on a scoring hot-streak of 4 consecutive games, his longest run in a Chelsea shirt since he arrived four years ago. His dribbling remains the proverbial “eye-candy” of the Chelsea team in full flow, while his finishing has significantly improved, helping the Blues rack up 26 goals in 11 games, the highest total by any Premier League team so far this season. So then, in what could be the most open title race in years, do Chelsea have the tools to carry out an Italian Job on the competition? The fact that they have no European or cup commitments at the moment certainly helps the cause, but I think they are lacking a few world-class players in reserve to truly push Manchester City all the way. One thing is for sure though, the Blues have recovered well from a train-wreck of a season last year, and will certainly be up there at the end of the campaign, even if they are not able to quite claim their title back at the first time of asking. 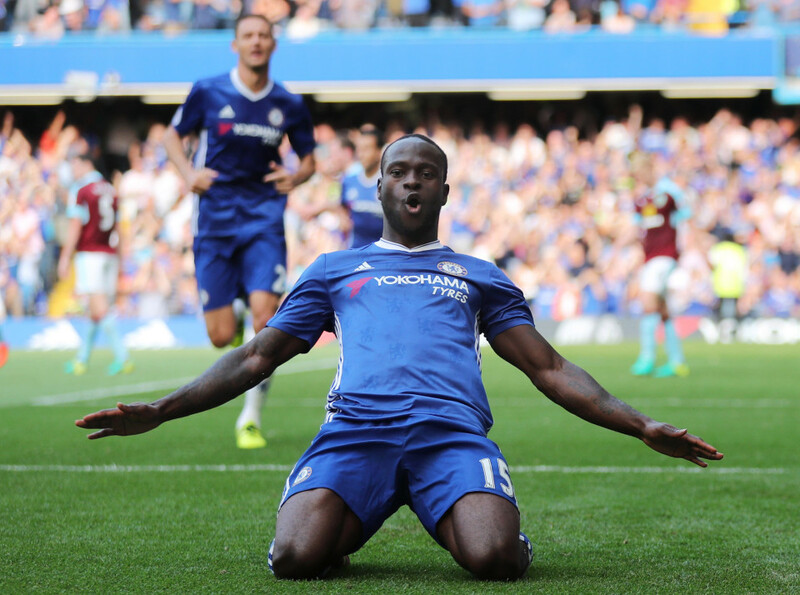 TheSportMatrix • We Live For Sport: Are Chelsea Set for Another Premier League Coronation?